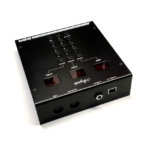 The Ampete 88R is the remote control for our switching systems. 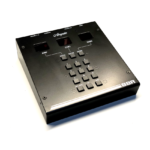 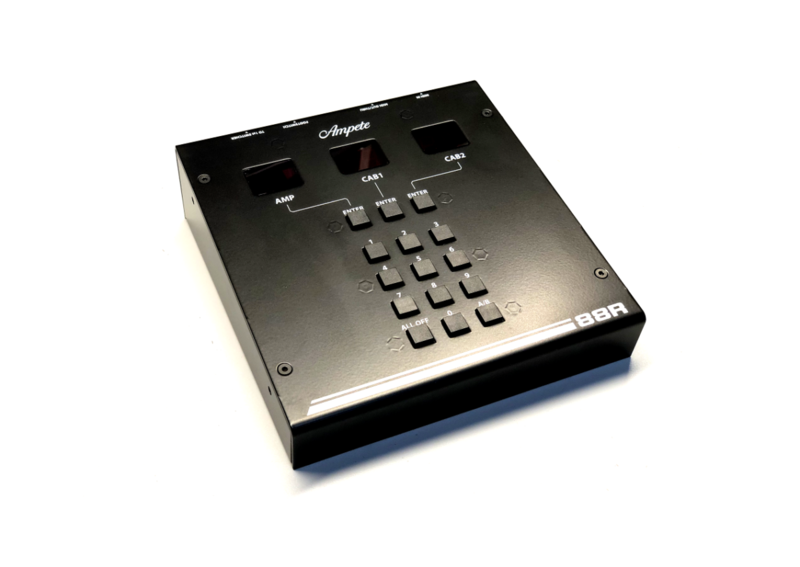 It lets you control your complete system of daisy-chained 88S or 88S-STUDIO switchers from one point of the room. 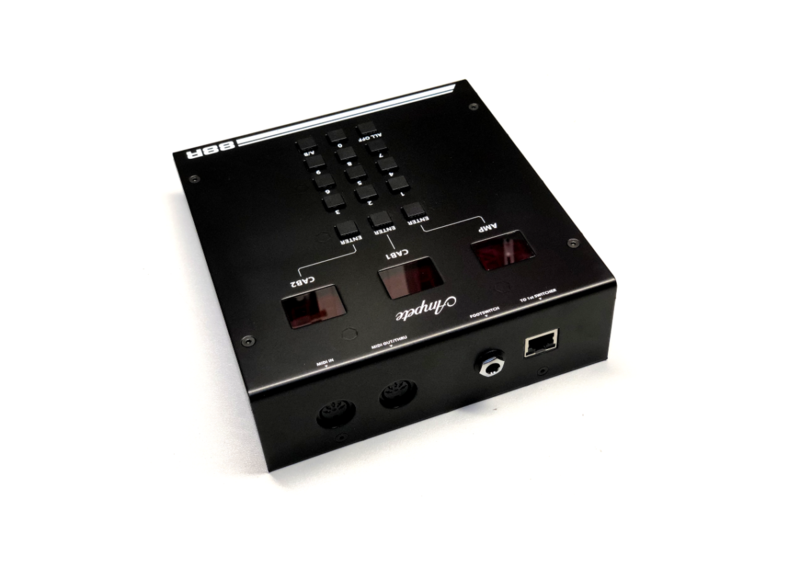 The current firmware version can only switch amplifiers via MIDI, please check the manual.